Publish your contribution on Tuesday, May 8th, 2018. Let’s use the “it’s Tuesday somewhere” rule. Hi, I have a blog post that fits the “tell us how and why you started” category. 😉 But I already published it the other week (for reasons). Would it still be OK to use the #tsql2sday hashtag to link to it? Hi Riley, thanks for hosting. So many helped along the way, it’s hard to not want to give back. I’m always amazed that so many other communities are so tight-lipped. Great topic — the community is boss. Not sure where my previous comment has gone. Am I just overlooking it? My pingback didn’t work so I’ll comment on this post – thanks for hosting this months event! Here you go. Thanks again for hosting! 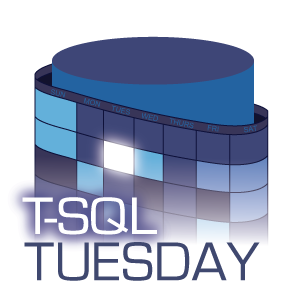 Thanks for hosting TSQL Tuesday – great topic. Here’s my posting from yesterday – time travels strange round here – hope it’s OK.